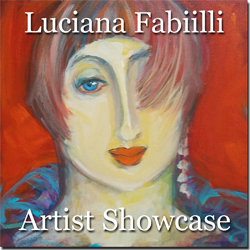 Light Space & Time Online Art Gallery is very pleased to announce that Luciana Fabiilli is the gallery’s new featured artist and for the next 30 days will be promoted in the gallery’s artist showcase. Jupiter, FL, USA (April 16, 2015) — Light Space & Time Online Art Gallery is very pleased to announce that Luciana Fabiilli is the gallery’s new featured artist and for the next 30 days will be promoted in the gallery’s artist showcase. Luciana Fabiilli has successfully created an evocative style that is completely original and at once, instantly recognizable. Luciana Fabiilli is an International figurative artist whose intention is to paint the Women of Today, yet, also recognize the Women of the Past. Luciana is the epitome of the Renaissance woman or “The Rebirth of the New Woman”. Luciana is the recipient of several prominent art awards, such as Dallas Critics Choice Award, Special Recognition Award in the Women 2013 competition, Award of Excellence from Manhattan Arts International and Merit award Portrait category in The ARTIST’s Magazine competition amongst 13,000 entries. Fabiilli was selected as one of the Artists of the 1990’s in New York by Manhattan Arts International. In addition, Luciana was selected for featured articles from several International publications including The Artist’s Magazines, Encyclopedia of Living Artists, Dallas Women’s Magazine and the front cover of Grace Magazine. Her works have also appeared in Dallas Museum of Art, African American Museum & San Bernardino Museum in California. She was invited to showcase with Art Monaco at Miami River Art during Art Basel 2012. As a result of this, her paintings were televised on several Ecuador channels. She exhibited in the Solo Art Miami inaugural exhibit showcasing creative minds with a special tribute to Master Cundo Bermudez. Her website is http://www.lucianaart.com and you can see the full article post about Luciana here: http://www.lightspacetime.com/artist-showcase/artist-showcase-luciana-fabiilli. Light Space & Time Online Art Gallery conducts monthly themed art competitions and monthly art exhibitions for new and emerging artists on a worldwide basis. The art gallery website can be viewed here: http://www.lightspacetime.com. 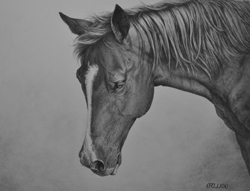 Nationally acclaimed graphite artist’s exhibit should be your first stop on the Jackson, Wyoming Art Walk in June. 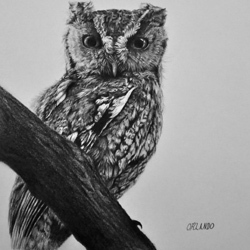 Jackson, WY, USA (April 15, 2015) — Crystal Orlando, considered by many to be one of the top graphite artists in the US today, will be taking her work to Jackson Hole, WY for the month of June with an artist reception taking place during the Jackson Hole Gallery Association art walk. Jackson Hole is considered to be one of the top art destinations in the country. Crystal is regarded as the Master of Emotion with a pencil where she is able to create feeling, depth and weight to her drawings. Her wildlife art is among the best. 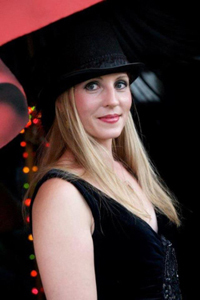 “I am so thrilled to be featured at such a prestigious event. As an artist, it is so rewarding when other people appreciate the hard work that goes into each of my drawings.” Orlando said. Crystal’s noted works include the powerful “Dance With Me” a drawing of a buffalo photographed nearby in Yellowstone. She and her husband Jason were able to get within a few feet of the massive animal. 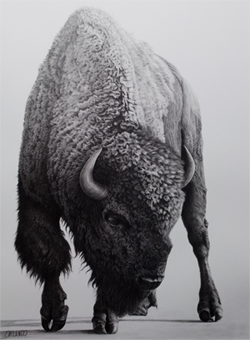 The detail in her drawing captures every hair on the buffalo’s body and emanates the power and weight of the magnificent creature. “Capturing emotion in animals is very difficult yet each of them show emotion quite readily. You can find it in their posture and their eyes. One must especially be careful and read the signs quickly when getting too close to wildlife. It can be very dangerous but the adrenalin rush is like no other.” Noted Orlando. 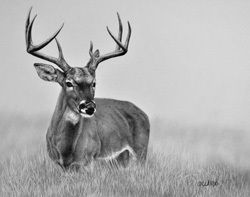 You can view and purchase Orlando’s new work at Cowboy Coffee, 125 N. Cache, Jackson, WY during the month of June 2015. Make Crystal Orlando’s Solo Show “UNDEFEATED” (sponsored by Ringhoz Gallery) your first stop during the art walk on June 18th from 5pm – 8pm, for an artist reception were Crystal will be on hand to answer questions and visit with you. Fort Lauderdale, Fla., (April 13, 2015) — Engage PEO, a leading professional employer organization providing HR outsourcing solutions to small and mid-sized businesses across the U.S., has developed a competitive suite of employer group benefit programs tailored to meet the unique and challenging needs of businesses with 10 to 49 employees. Engage Simple Business Solutions provides access to a select portfolio of medical plans that all meet the minimum individual mandate requirements of the Affordable Care Act (ACA). A suite of voluntary benefit products are also part of the mix, giving companies of all sizes the ability to offer their employees a variety of supplemental plans to fit individual needs, from dental and vision plans to life insurance and disability coverage and tax advantaged flexible spending and health savings programs. All Engage benefit plan solutions are offered as part of a comprehensive set of human resources services for business that include payroll, workers’ compensation, safety, tax and HR compliance delivered by dedicated HR field managers – all of whom are lawyers – in addition to client service and benefits specialists. Zevrix Solutions announces PDF Checkpoint 1.7.7, a maintenance update to its PDF preflight and conversion solution. Remarkably fast, PDF Checkpoint automatically preflights, exports as images, splits and optimizes Adobe PDF files. 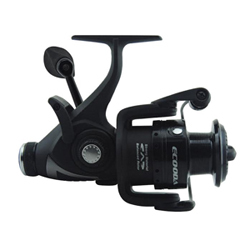 The software can also convert the color of PDF colors, downsample resolution and compress images. The new version lets users preflight PDF documents created with LibreOffice as well as files that underwent GhostScript conversion. 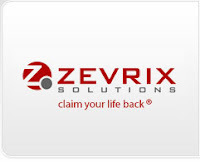 Toronto (ON), Canada (April 10, 2015) — Zevrix Solutions today announces PDF Checkpoint 1.7.7, a maintenance update to its solution to automate PDF preflighting and conversion. Remarkably fast, PDF Checkpoint automatically preflights, exports as images, splits and optimizes multiple Adobe PDF files. PDF Checkpoint is an ideal program for users who need a fast, affordable and easy to use solution to check PDF files for errors and convert them to the desired format and color space. The new version lets users preflight PDF documents created with LibreOffice as well as files that underwent GhostScript conversion. Processing of such files could previously result in crashes. LibreOffice PDFs can also be split into single pages and converted to images. Unlike PDF documents created with other programs, images in LibreOffice files still cannot be optimized ofr color space and resolution. This limitation also affects PDF files created with GIMP, as well as any other program that uses the Cairo library for PDF export. It’s expected to be addressed in the future. PDF Checkpoint is designed to automate and simplify PDF workflows of publishers, ad agencies, prepress houses, printers and graphic designers. –Automate preflighting and conversion of multiple PDF files. -Convert PDF color mode using ICC profiles. PDF Checkpoint can be purchased on Mac App Store and Zevrix website for US$39.95, as well as from authorized resellers. The update is free to licensed users. Trial is also available for download. PDF Checkpoint requires Mac OS X 10.7-10.10.